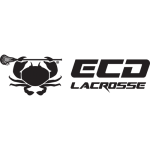 The Carbon Pro is ECD’s elite composite shaft and is the most technically advanced composite shaft in the Carbon line. Each Carbon Pro features ECD’s new Kick Point Technology (playing style specific); Flex Control Layering (FCL), and a specific flex level. Each of these features have been designed and tested to ensure maximum playability for each position. The 30″ Carbon Pro features a High Kick Point and is rated as a Flex8 on our 10-point flex scale. The High Kick Point provides a quick release, which makes this shaft perfect for the crafty player who is all about quick feeds and finishes. The increased flex will allow you to add a little extra snap to all of your shots and passes.